The Book of Job presents a challenge to the modern preacher and teacher, as it communicates its message in a way that is unfamiliar to most contemporary believers. But the issues it addresses--suffering, our response to it, and how God works in the world--are nevertheless relevant to the church in our day. Job teaches the surpassing sovereignty, freedom, and wisdom of God and emphasizes that even though the answers to our questions may remain hidden from us, God can be trusted. 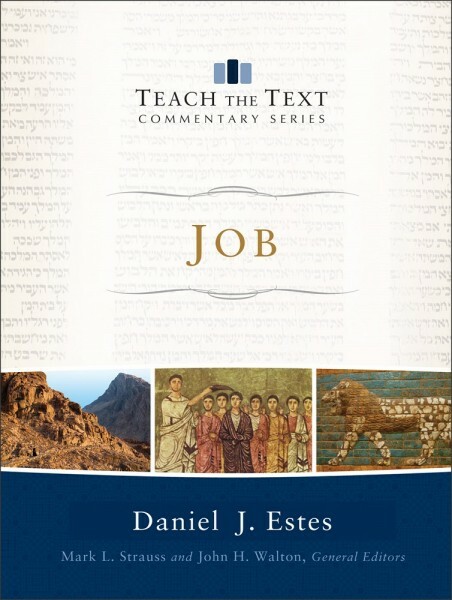 In this commentary, Daniel J. Estes provides carefully organized guidance for interpreting, teaching, and illustrating the important truths found in Job. Daniel J. Estes (PhD, University of Cambridge) is distinguished professor of Bible at Cedarville University and the author of the commentary on Song of Songs in the Apollos Old Testament Commentary series, Hear, My Son: Teaching and Learning in Proverbs 1-9, and the Handbook on the Wisdom Books and Psalms.